Online Bingo | How to Play | Learn Some Online Bingo Basics! If you don’t know how to play online bingo, you’ve come to the right place. We cover some basics to help you understand not only the game but also how to increase your winning chance. We will equip you with the knowledge you need to have a great online bingo experience at some of the big bingo sites like Heart Bingo and Foxy Bingo. You need to acquaint yourself with the different types of online Bingo out there. This is especially important as there are more and more online Bingo games becoming available. For instance, there is a 75 Ball Bingo game consisting of a 5 x 5 grid with the centre square kept free. Players can win lines of numbers in a horizontal, vertical or even diagonal line. There is also a 75 Ball variant of this Bingo game which also consists of the 5 x 5 grid. It features 24 numbers but each of the five columns starts with a letter. The anagram spells the word “Bingo”. Players can also stumble upon 30 Ball bingo. However, 30 Ball Bingo isn’t common and is reserved for players who enjoy fast-paced Bingo. The tickets are organised into 3 x 3 grids with 30 balls in the game. In order to win, a player needs to get each number on their ticket. An 80 Ball Bingo consists of 80 games that are set into a 4 x 4 grid filled with 16 numbers. In order to win, the player needs to cover either a single row or an entire ticket. 80 Ball Bingo is also known as the Speed Bingo. In order to find out how to play online bingo, we can use one of the most popular online Bingo games. That is a 90 Ball Bingo. 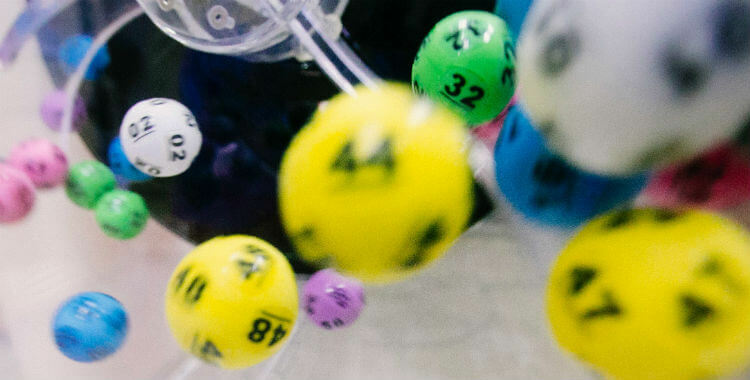 With 90 Ball Bingo, players need to cover at least one line of numbers on their ticket. The first place winner is a player that manages to cover one line of numbers. The second place winner is the one who covers two lines of numbers on a ticket. And finally, the player that covers three lines on their ticket is a Full House winner. If you are wondering how to play online bingo using a 90 Ball Bingo, it is a very simple process. All you have to do is purchase a numbered bingo tickets. After that, a caller will call out numbers randomly. 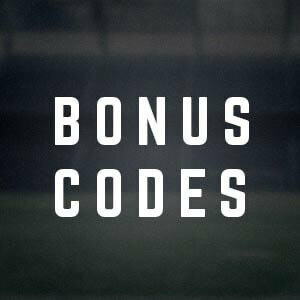 The player covers or daubs each number on the line if it is being called out. 90 Ball Bingo consists of tickets. Each ticket has a chart of 3×9 numbers and each line has 5 numbers and 4 empty spots. In total, 90 Ball Bingo has strips of 6 tickets each and each strip displays a total of 90 numbers. The numbers can also be covered automatically by the computer. 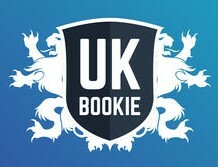 Most of the time, a player can customise their interface on an online Bingo platform along with other settings related to the gameplay. After buying your ticket for 90 Ball Bingo, you will need to wait for the game to begin. Most of the time a countdown will be displayed on the operator’s website. The good news is that most of the Bingo games start every few minutes so you won’t have to wait for too long. Sometimes, while you are waiting for the game to start, you will be able to see a list of players along with the available rewards for the winning players. Players cover the numbers and check the results off their tickets while each number is called out. Although there is no single way which works 100%, we have found some interesting tips to win online bingo that can maybe help you out and increase the chances of you winning a reward while learning how to play online bingo. Did you know that the prize money for Bingo games doesn’t decrease if there is a smaller number of players? In fact, if fewer people are involved in the specific game, this might raise the probability of you getting that reward. So, how do you find rooms with fewer players? Well, maybe playing Bingo games on weekdays or at certain hours of the day or night can help. Another way is to follow a specific Bingo room and see at what times is the peak of online users for that particular room. After that, you just need to avoid these time frames and that is it. A British statistician Tippett was researching this theory about random numbers which may or may not be true. Tippett suggests that during the wheel-of-balls game, the more numbers that are called, the more likely those numbers will be closer to the median number. So, if we have a shorter game with 99 bingo balls, choose numbers that are closer to 1 and 99. Knowing for how long will the game last is a tricky part though. Some say that one of the best tactics is to purchase as many cards as you can. The theory behind it is that the more tickets you play, the more chances you have in comparison to the other players in the same room. Let’s say that there are 20 players in the room and that all of you have a 5% chance of winning. However, if every one of them has one ticket but you have four of them, this can increase your chances up to 17%. This theory is predicated on the concepts of mathematical probability. Some of the most experienced players in this industry will take a look at how many balls are in the game and, in theory, figure out the patterns since there should be an equal proportion of odd and even numbers, the low and high numbers, numbers ending with zero, one, two, three, etc. It makes sense that if you stay long enough in the game, your numbers should repeat at some point. However, this theory was never proven to work but it doesn’t stop some players from exploring it. For example, a mathematician, Joseph Granville discussed the best strategy for winning Bingo games and found out that one way to go would be for a player to buy cards with equal distribution of odd and even numbers. A player should also take into consideration the proportion of low and high numbers. Remember, Granville’s strategy is not proven to work for everyone. In fact, this mathematician was also a stock market investor at the time who didn’t go so well with picking the right stocks, so his theories should be taken with a bit of reserve. This depends on the operator you have chosen. Some brands require their players to download bingo software in order to play bingo games. Internet browsers like Chrome, Safari, Mozilla, can access others. I have a problem with my bingo game, what can I do? Almost all of the bingo operators on the market have a customer support teams that are most likely available 24/7 via different channels like an email form, phone number or even a Live Chat feature on their site. What is the easiest online bingo game? Generally speaking, all online bingo games are quite easy to play. After all, the online bingo operators tend to make their platforms as easy to use as they can. We would recommend new users to play a 90 Ball Bingo since it is the most popular type of bingo game, and very simple to use. Do I have to register an account in order to play online bingo games? Most of the online bingo platforms on the market will ask you to register an account in order to play their games. However, there are some brands who will let you play demo versions of their games and decide after that if you want to play for real money and open an account. Try out your knowledge now and claim the Heart Bingo Promo Code or Foxy Bingo Promo Code.